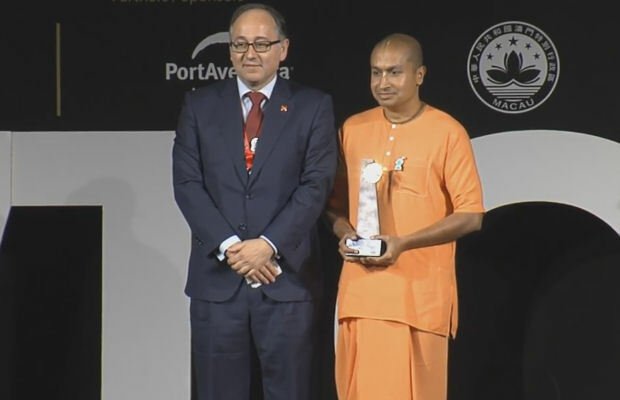 ISKCON Project Wins UNWTO Award ~ The Toronto Hare Krishna Temple! The United Nations World Tourism Organization (UNWTO) is the United Nations agency responsible for the promotion of responsible, sustainable and universally accessible tourism. It is the leading international organization in the field of tourism, which promotes tourism as a driver of economic growth,inclusive development and environmental sustainability and offers leadership and support to the sector in advancing knowledge and tourism policies worldwide. It encourages the implementation of the Global Code of Ethics for Tourism to maximize the contribution of tourism to socio-economic development, while minimizing its possible negative impacts,and is committed to promoting tourism as an instrument in achieving the United Nations Millennium Development Goals (MDGs), geared towards reducing poverty and fostering sustainable development. UNWTO’s membership includes 157 countries, 6 territories and over 500 affiliate members representing the private sector, educational institutions, tourism associations and local tourism authorities. Its headquarters are located in Madrid, Spain. Since its first Ceremony in 2003, the UNWTO Awards for Excellence and Innovation in tourism are held annually to highlight and promote the work of organizations and individuals around the world that have greatly impacted the tourism sector. Their achievements have served as an inspiration for competitive and sustainable tourism development and the promotion of the values of the UNWTO Global Code of Ethics for Tourism and the Sustainable Development Goals.